By taunting the tycoon with jokes and taking out Osama, the president muscled Donald Trump out of the news. Howard Kurtz on why the master showman will find it hard to repair his image. The Donald Trump steamroller got run off the road last week, and getting back on track may not be easy. The wealthy developer surged to the top of the Republican polls with a bombastic media blitz that stunned the political pros, even as many scoffed at the notion that he is seriously running for president. Now he’s been roughed up, ridiculed, and, for the moment, knocked out of the news. Trump, like every other potential GOP candidate, has been utterly overshadowed by the administration’s triumph in killing Osama bin Laden (forcing NBC, irony of ironies, to cut away from Celebrity Apprentice on Sunday night). But the impact may have been greater for The Donald because it made the issue he was loudly pursuing—Barack Obama’s birth certificate—seem so small. Trump may have been “very proud of myself,” as he put it, when the president released his long-form birth certificate. But Obama’s move put the allegation that Trump had been peddling to rest, at least among reasonable people. And when Obama said he had “other things to do,” we didn’t know that meant planning a daring helicopter raid to kill the world’s most-wanted terrorist. The president also seized the advantage at the White House Correspondents' Dinner, where he lobbed a series of zingers in Trump’s direction: “No one is prouder to put this birth certificate matter to rest than The Donald. And that’s because he can finally get back to focusing on the issues that matter, like: Did we fake the moon landing? What really happened in Roswell? And where are Biggie and Tupac?” Trump, a guest of The Washington Post, sat stone-faced during the comedic barrage. Rollins, who broke with his party to work for Ross Perot in 1992, sees similarities between the two tycoons who challenged the system in idiosyncratic fashion. Rollins recalls the moment when Perot pulled ahead of Bill Clinton and George H.W. Bush in the polls. Trump may sense that he needs to regroup. He hasn’t spoken publicly since bin Laden’s death, limiting himself to a statement congratulating the president, and his office didn’t respond to an interview request. Insiders may scoff when Trump rails about seizing Libya’s oil or telling the OPEC sheikhs “you’re not going to raise that f---ing price,” as he put it in a widely bleeped speech. But in a bland Republican field, Trump clearly touched a nerve. Schnur doesn’t see Trump as having been discredited by the birther controversy because such charges appeal to a certain segment of the party. “Trump can get just as much mileage out of a crusade for Barack Obama’s college transcripts, because a lot of frustrated voters out there are looking for someone who can viscerally channel that frustration,” Schnur says. There are signs over the last two weeks that news organizations, undoubtedly conscious of the polls, are starting to step up their scrutiny of the Trump phenomenon. The Washington Post reported that the recently minted Republican has given 54 percent of his donations to Democrats, including Harry Reid, Rahm Emanuel, John Kerry, Ted Kennedy, and Hillary Clinton. The cable station NY1 reported that Trump didn’t vote in primary elections for 21 years. And after he claimed a high draft lottery number kept him out of Vietnam, the Smoking Gun website reported that Trump received a series of student deferments in college and a medical deferment after graduation. Make no mistake: After decades of fencing with New York’s tabloids, Trump is a master of generating headlines. The man who once called Rosie O’Donnell “a real loser” and “nice fat little Rosie” has brought the same pugilism to his presidential flirtation. When Jerry Seinfeld, disturbed by the birther rhetoric, canceled an appearance at a charity event hosted by Trump’s son, Trump wrote a letter—“obtained” by the New York Post—slamming the comedian for dropping out and adding that he regretted going on Seinfeld’s show, The Marriage Ref, which he deemed a failure. This stuff is pure catnip for the media. It doesn’t mean Trump can propel himself back into the forefront of the presidential race, but he knows how to make news. 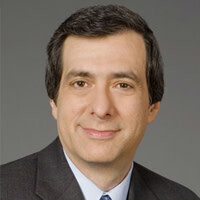 Howard Kurtz is The Daily Beast and Newsweek's Washington bureau chief, and writes the Spin Cycle blog. He also hosts CNN's weekly media program Reliable Sources on Sundays at 11 a.m. ET. The longtime media reporter and columnist for The Washington Post, Kurtz is the author of five books.